The multivitamin supplement is a staple in many people’s lives, but is it really necessary? Is it even harmful? If you’ve ever been frustrated by trying to find the “best” multivitamin, or if you wonder whether a multivitamin supplement is even worth the money, I understand. As with most supplements, multivitamins are aggressively overhyped and oversold. Advertisements loudly proclaim that just a few pills per day will ward off disease, optimize hormones, support the gut, enhance cognitive function, and increase energy levels. Some are even bolder, claiming their multivitamins will also help you build muscle, get stronger, and lose fat. On the other side of the coin, however, are the people claiming that multivitamins are a complete waste of money and offer absolutely no health benefits whatsoever, or are even dangerous to our health. Well, the truth lies somewhere in the middle. Your body needs a wide spectrum of vitamins and minerals to carry out the millions of sophisticated functions it performs every day. You want to maintain an adequate supply of vitamins and minerals to support every growth and repair process that occurs. Ideally, we’d get all of the vitamins and minerals we need from the food we eat. Due to the nature of the average Western diet, however, we tend to be deficient in certain vitamins and minerals. For example, according to research conducted by scientists at Colorado State University and published in 2005, at least half the US population fails to meet the recommended dietary allowance (RDA) for vitamin B-6, vitamin A, magnesium, calcium, and zinc, and 33% of the population does not meet the RDA for folate. Research also shows that average vitamin K and vitamin D intake levels may be suboptimal as well. What to do, then? How can we easily ensure our bodies get enough of all of the essential vitamins and minerals? The idea of taking a supplement that can cover any possible nutritional deficiencies in our diets and mitigate the harmful effects of some of our less-than-healthy habits is a great concept. It would create a “safety buffer” for our health. That’s the least you should expect from a multivitamin: the right combination of vitamins and minerals and the right dosages. This would at least plug any dietary holes and ensure your body is getting adequate micronutrients. I think it should do more, though. 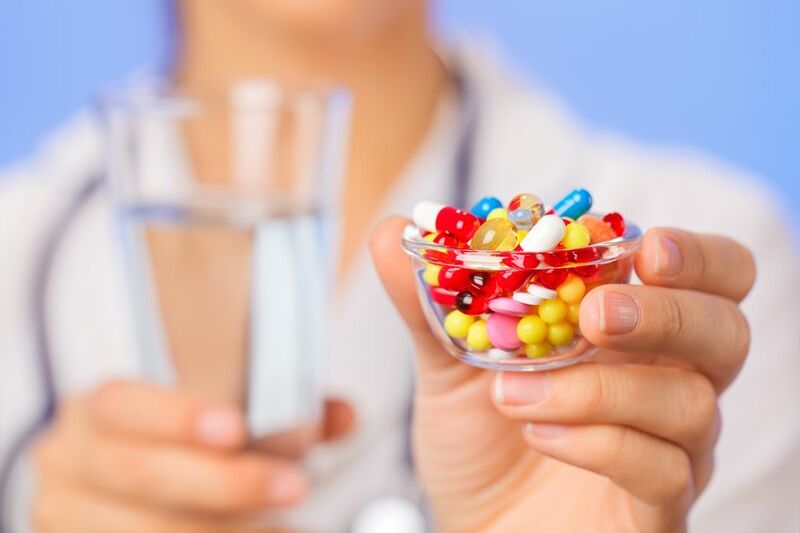 Namely, there are scores of natural substances that have been scientifically proven to ward off disease and improve health and performance, and I think a multivitamin should include an array of them at clinically effective dosages. Many companies think differently, though. They would rather play the game I’ve already talked about in detail: spend very little on production, exaggerate and even invent benefit claims, and enjoy the large profit margins. Multivitamins are often stuffed with all kinds of micronutrients, regardless of whether we need to supplement with them or not, and in unjustifiably high or low dosages. If you’re not deficient in the vitamins and minerals contained in the multivitamin, you’re not going to notice anything by supplementing with more. And in many cases, multivitamins are quite high in vitamins and minerals that most people aren’t deficient in and low in what we need. For example, calcium supplementation is known to be beneficial as individuals with a low dairy and vegetable intake (including vegetarians and vegans who don’t eat additional servings of vegetables to compensate) tend to be somewhat deficient, which only increases in frequency with age. However, athletes tend to have excess levels of calcium due to high-protein dieting (one scoop of casein protein provides 60% of the RDA!). While this doesn’t pose an acute health risk, excess calcium levels can reduce the absorption of the minerals we care about (zinc and magnesium). Thus, a multivitamin specifically for athletes can safely reduce or even omit calcium. Furthermore, supplying super-doses of various micronutrients via poorly formulated supplements will not only fail to provide any benefits, it can even be harmful. For example, vitamin A (retinol) was traditionally added because it is a vitamin, but it was later discovered that high dosages of retinol could actively harm the liver by cutting off the blood supply to its cells. Due to this, the plant pigment β-carotene is often used instead of retinol because it turns into retinol when needed and thus is safer, but it’s also abundant in most people’s diets. A better option would be carotenoids (plant pigments) that tend to be lacking in the average Western diet, such as the sea-based fucoxanthin, or the egg-based lutein and zeaxanthin. The vitamin E found in many multivitamins can also be harmful. It’s often surprisingly overdosed on the assumption that including more antioxidants is better and, because it and vitamin C are cheap, both are usually included at very high dosages. Unfortunately, not all antioxidants are similar, and regular supplementation of vitamin E above 400 IU per day is now suspected to increase the risk of all-cause mortality. More is not always better. In many cases, supplement companies don’t bother determining optimal dosages of the essential vitamins and minerals for their target publics and simply choose the cheapest forms available. They also may choose needlessly expensive forms that sound nice in marketing copy but don’t confer additional benefits over cheaper forms. Going the cheap route provides higher profit margins, and going the unnecessarily expensive route adds needless expense to both the manufacturer and customer and results in a product that is ultimately less beneficial than it would be if the manufacturing budget were spent more intelligently. And while we’re on the subject of forms of vitamins and minerals, let’s look at the controversial subject of natural vs. artificial. It’s often assumed the natural forms of vitamins, including whole-food sources, are automatically better than their synthetic counterparts. Some supplement companies even claim that synthetic vitamins are harmful to sell you on their naturally sourced products. There is some truth to these claims, but they don’t apply equally to all molecules. Not all natural vitamins are better than synthetic forms, and not all synthetic forms are harmful. There are notable examples of natural vitamins having unique properties that synthetic forms do not, such as vitamin E, and notable examples of synthetic vitamins outperforming the natural ones, such as synthetic folic acid being better absorbed than folate from natural sources. Supplements that brag about only using only natural vitamins are preying on our tendency to assume they’re automatically healthier or better, and those that also demonize all synthetic vitamins are simply lying and hoping you don’t know any better. Multivitamins often offer little more than the poorly formulated collection of essential micronutrients. In some cases, multivitamins include nothing else at all in terms of ingredients, but many multivitamins do include additional substances beyond just vitamins and minerals. The normal practice, however, is to jam each serving with proprietary blends of as much stuff as possible to create long, “impressive” nutrition facts panel. These extras are often claimed to do all kinds of things like increase anabolism, optimize hormones, provide the body with vital antioxidants, aid in digestion and nutrient absorption, support the liver, immune system, and bones and joints, improve cognitive abilities, and more. While all these things sound great, and we’d love to believe they’re true, when you look into the ingredients and dosages, they tell another story—a story you’re well familiar with by now if you follow my work. In some cases, there’s little or no scientific evidence that such substances can confer the benefits claimed, and in others, there’s good science to support the substances used but the dosages administered in the clinical research were 5, 10, or even 15 to 20 times higher than what’s in the products. The truth is for many, multivitamins are just an extremely unscrutinized “faith buy,” which is something that does not have any noticeable benefits over the short term, and if any noticeable benefits do occur over the long term, it’s hard to attribute them to the supplement. While you know that caffeine works very soon after ingesting it, something like bacopa monnieri has no acute benefits, and you just have to trust that the benefits seen in scientific studies will occur over time. The collective marketing machine of the supplement industry has done a good job making the multivitamin a staple, both in our diets and in their revenue sources. While people will be very concerned with the benefits of something like a pre-workout drink or sleep supplement, they will take a multivitamin “because it’s a multivitamin” and simply have faith that it will benefit them . . . usually without compelling evidence to prove it. The bottom line is if you eat substantial amount of a wide variety of nutritious foods every day, you may be getting everything you need in the way of vitamins and minerals. But many people aren’t, and supplementation can help provide what’s missing. Furthermore, a good multivitamin should contain other substances known to improve health and performance that are difficult or basically impossible to get in adequate amounts through diet alone. While I’ve been able to find multivitamins that accomplish the first goal decently (provide micronutrients), I’ve always been disappointed with the latter aspect (additional benefits) of what’s out there. Most multivitamins don’t have much in the way of extra worthwhile ingredients, and those that I’ve found that do are stingy in this regard and under-dosed. 1. Most multivitamin supplements contain little more than vitamins and minerals, which are often improperly dosed–they’re too high in micronutrients we’re not likely to be deficient in and too low in those we are. This type of formulation isn’t just inefficient and, in some ways, a waste of money–it can be harmful to your health as super-dosing certain types of ingredients like antioxidants sounds good in marketing pieces but doesn’t necessarily confer health benefits. 2. In the cases where additional ingredients are included, they’re often underwhelming. Call me cynical but am I supposed to get excited over a 100 mg proprietary blend of fruit and vegetable powders? A few enzymes that may or may not even do anything? Some amino acids, which serve absolutely no purpose in this context? Substances to “detox” my liver? 3. Many multivitamin supplements contain a long list of ingredients that have no research to back the marketing claims. The supplement industry loves to misuse science to sell and multivitamins, with their long lists of fancy ingredients, are perfect for pseudo-scientific chicanery. The sad truth is the majority of multivitamins on the market contain little more than a over- and under-dosed vitamins and minerals and a smattering of underdosed, unproven, or ineffective (and often all three!) ingredients thrown in to pad the ingredients list and make you think you’re getting a lot for your money. While there have been a couple decent multivitamin supplements over the years and I’ve used and recommended them, they always fell short of what I really wanted to see in terms of ingredients and dosages. 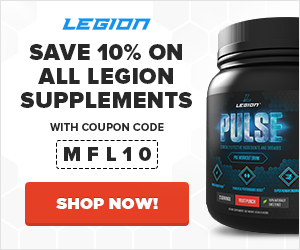 Well, thanks to your support of my supplement line, LEGION, I’m finally able to just make the multivitamin I always wished someone else would make: TRIUMPH. Improving physical performance of both resistance and endurance training. Improving overall physical health including heart health, blood flow and pressure, cholesterol profile, insulin sensitivity, and more. Improving mental health including memory, cognition, and overall sense of well-being. Alleviating the physical stress caused by regular, intense exercise, including aches, inflammation, and fatigue. Alleviating mental stress that leads to anxiety, depression, and various impairments of physical health. Enhancing immune function to help prevent disease and dysfunction. Increasing longevity and supporting our health as we age. We then conducted an extensive scientific review of a wide variety of natural molecules known to meet those targets, and we carefully chose a handful that safely deliver consistent results on all four points given above. The result is the most potent multivitamin on the market built specifically for athletes in which every ingredient is backed by sound clinical research and included at clinically effective dosages. TRIUMPH’s formulation does a lot more than plug potential holes in your diet: its unique combination of clinically effective ingredients improves general health and overall well-being, enhances physical and mental performance, and protects against disease. Let’s take a look at the formulation, starting with the essential vitamins and minerals. The “needs” dosages below are based on RDA and Adequate Intake numbers established by the Institute of Medicine and are for adults age 18 and older. Vitamin A consists of a group of four compounds—retinol, retinal, retinoic acid, and several carotenoids—and it’s important for maintaining good vision, immune and reproductive health, and normal function of the heart, lungs, kidneys, and other organs. Vitamin B12 helps keep the nervous system and blood cells healthy. It is also involved in the production of DNA and in the metabolism of food. Deficiencies of B12 are rare and tend to occur only in vegan diets where all animal products and B12 supplements are omitted over the course of 2 years or more. We aren’t at all concerned with addressing a deficiency in TRIUMPH but instead are looking for possible extra benefits from this molecule. Higher dosages of B12 are associated with improvements in depressive symptoms and are thought to support general cognitive function. Vitamin B6 is involved in more than 100 biological processes in the body, mostly related to the metabolism of food and the production of hormones and red blood cells. Fat-loss supplements often include vitamin B6 because it’s thought that increasing B6 intake will accelerate the activity of an enzyme related to the production of serotonin and dopamine. Furthermore, it’s sometimes added to testosterone boosters because it can suppress abnormally elevated levels of the hormone prolactin and thus reverse the decrease in serum testosterone levels this causes. In theory, while the serotonin, dopamine, and testosterone mechanisms may offer benefits, they are not yet proven in humans. We have included additional B6 above the RDA in hopes that these properties, alongside a known yet minor boost in immune function, will occur while staying well below the lowest known case of toxicity reported in the literature (200 mg). Like its other B vitamin brethren, biotin plays an important role in the growth of cells and the metabolism of food. We’ve included a large dosage of biotin because it’s known to safely improve skin, nail, and hair quality. Pantothenic acid is a B vitamin that plays an important role in the metabolism of food and the development of the nervous system, certain hormones, red blood cells, and more. We’ve included a large dosage of pantothenic acid because it’s theorized that higher levels of B5 intake can improve cellular production of energy with no known toxicity. Thus, we went with a standard dosage found in most B-vitamin complexes. Like other water-soluble B vitamins, niacin is essential for the conversion of food into cellular energy. It also helps improve the cholesterol profile and maintain healthy skin, hair, eyes, and liver and nervous system function. We’ve included a large dosage of niacin because of its ability to improve the cholesterol profile while still being safe for long-term consumption. Folic acid is a B vitamin that is vital for proper fetal development, and that plays an important role in the creation and proper functioning of cells. We’ve included half of the RDA of folic acid because, in certain people with a genetically elevated risk for colon cancer, it may act as a co-carcinogen (increasing the efficacy of other carcinogens in the colon). Simply put, this is a risk we don’t need to take since there are no major known benefits to a larger dosage of folic acid. Riboflavin is a B vitamin that helps convert food to energy, and helps maintain healthy hair, skin, muscles, eyes, as well as a healthy immune system and brain. Like with pantothenic acid, we’ve included riboflavin at the standard dosage found in B-vitamin complexes, and similarly, riboflavin has no known toxicity. Thiamin is a B vitamin that helps with the metabolism of food, and which also plays a role in nerve signaling and muscle contraction. Thiamin is another B vitamin that we have included at a level significantly higher than RDA to safely confer all possible benefits of the standard B-vitamin complex. Vitamin C is an antioxidant that helps maintain healthy tissues, teeth, and gums; promotes wound healing; and boosts the immune system. Vitamin D is a vitamin vital for immune and nervous system function and bone density. As you may know, our body can’t produce vitamin D without sun exposure. When our skin is exposed to the sun’s UVB rays, they interact with a form of cholesterol in the body to produce vitamin D. The more skin that is exposed to the sun, and the stronger its rays, the more vitamin D you produce. According to even the most modest estimates–research published by the Centers for Disease Control and Prevention in 2011— 8% of Americans are vitamin D deficient, and 25% are considered “at risk” of a deficiency. According to other research, however, deficiency may be as high as 42%. According to the Institute of Medicine, 600 IU per day is adequate for ages 1 to 70 (and 800 IU per day for 71+), but these numbers have been severely criticized by scientists who specialize in vitamin D research. They call attention to the more than 125 peer-reviewed studies that indicate such recommendations are too low and are likely to lead to vitamin D deficiencies. A committee of the U.S. Endocrine Society recently convened to review the evidence and concluded that 600 to 1,000 IU per day is adequate for ages 1 to 18, and 1,500-2,000 IU per day is adequate for ages 19+. Vitamin E is an antioxidant that prevents cellular damage and helps keep free radicals under control. It works in a cyclical relationship with vitamin C and some other antioxidants, such as carotenoids and alpha-lipoic acid, to reduce oxidative stress within a cell. Vitamin E has traditionally been supplemented in abnormally high dosages, in part because it was the prototypical “antioxidant” alongside vitamin C. Despite a recommended intake of only 15 mg (around 22 IU), a low dosage is considered to be 200 IU, and 400 to 1,000 IU is commonly used. These higher dosages have no benefits that are unique to vitamin E (with regard to alpha-tocopherol) and only serve to reduce levels of gamma-tocopherol and gamma-tocotrienol in the body, two forms of vitamin E that do have unique protective properties. Thus, in a way, superloading alpha-tocopherol can be adverse, and we have included other supplements in TRIUMPH to compensate for the lost antioxidant properties of vitamin E superloading. This is in line with some epidemiological studies noting increased rates of harm and mortality (in the metabolically unwell) with dosages above 400 IU. That said, a lot of people still do not get much vitamin E via the diet due to low intakes of eggs and nuts, and thus supplementation is worthwhile. A mild increase above the RDA is beneficial, but more than 400 IU per day is overkill. We have slightly more vitamin E than the RDA in TRIUMPH: enough to counter deficiencies and provide a small safety buffer, but not enough to reduce gamma forms or be associated with toxicity. Although the chemical symbol for potassium is K, vitamin K isn’t the same. Vitamin K refers to structures known as quinones divided into phylloquinone, or vitamin K1, and a class of menaquinones known as vitamin K2 (designated MK-x). Their major role in the body was first thought to be simply preventing excessive bleeding, but in the last decade, they have been found to have much wider-reaching effects. Like vitamin D, vitamin K intake at the RDA is adequate for basic needs but may not be sufficient for optimal levels for health, which may require a dosage still within the safe range but higher than what can be achieved with food. While vitamin K is recommended at around 100 mcg to prevent excessive bleeding, intakes of up to 1,000 mcg appear to cause dose-dependent benefits related to bone health. Despite the tenfold increase in dosage, it is still drastically within the safe limit, as a dosage of 45,000 mcg has been used for years without harm. TRIUMPH includes 500 mcg of vitamin K1 to get most of the requirements for optimal levels out of the way and then adds 100 mcg of the highly bioavailable and readily retained vitamin K2 form known as MK-7. These dosages, plus a healthy diet, can bring you to optimal levels. Zinc is a trace element used in the creation of enzymes, proteins, and cells. It’s also used to release vitamin A from the liver, and it boosts the immune system. Zinc is known to be required in higher levels by athletes due to excessive sweating, as many dietary minerals are lost through perspiration. Furthermore, preventing a zinc deficiency will prevent the reductions in testosterone and immunity that are sometimes seen during intense exercise. We dosed our zinc in accordance with the dietary supplement formulation known as ZMA, a popular supplement among athletes. If you take ZMA, you can replace it with TRIUMPH, saving you money and limiting the number of pills you have to take every day. Furthermore, this dosage confers all the benefits of zinc that daily supplementation can accomplish, while avoiding a dose that could have long term complications. Magnesium is a mineral that, along with calcium, is involved in more than 300 biological processes, including muscle contraction, protein synthesis, nerve function, blood clotting, blood-pressure regulation, and building healthy bones. Similar to zinc, we have dosed our magnesium so TRIUMPH serves as both a multivitamin as well as a ZMA formulation. As we have excluded calcium because most athletes using protein supplements and consuming a balanced diet don’t require it, we were able to add significantly more magnesium than most other multivitamins to ensure you reach the RDI when food is also taken into account. Selenium is a trace mineral involved in maintaining reproductive health, metabolizing thyroid hormones, synthesizing DNA, and protecting the body from free radical damage and infection. We’ve included approximately half the RDA of selenium because deficiencies are rare, and general intake is highly variable depending on whole-food intake and quality. Using high dosages in persons with an already more-than-adequate diet is undesirable, and 25 mg per day is sufficient for health reasons while also avoiding excess intake when diet is considered. Copper is a trace mineral used for the creation of red blood cells and cellular energy as well as for immune and nervous system function. We’ve included a slightly higher amount of copper than the RDA in TRIUMPH as chronic zinc supplementation can deplete copper stores over time. Iodine is a trace mineral that the body needs to create thyroid hormones, which control the body’s metabolism, temperature, muscle function, and overall growth and development. The most common source of iodine is table salt, and when you exclude salt from the diet, the only sources of iodine left become seaweed or animal products that retain iodine they have eaten. Omission of animal products and table salt from the diet without the intentional consumption of seaweed, sometimes seen in athletes who have been advised to limit their sodium intake, is a common cause of iodine deficiencies. We’ve included a slightly larger amount of iodine than the RDA because it’s lost through sweat. Chromium is a trace mineral known to enhance the actions of insulin in the body, and it appears to be involved in the metabolism of food we eat. Chromium has historically been associated with being the mineral that regulates glucose metabolism, but there is no evidence that high dosages of chromium enhance insulin receptor signaling any more than other dietary minerals. Studies superloading 1,000 mcg chromium (as picolinate) are too unreliable in their benefits, and the benefits are too small to suggest that it is beneficial, and there is suspicion that such high levels of an unnecessary mineral could cause genetic damage. While the genetic damage issue is similarly unreliable, we have decided to not risk such a high dosage (as dosages below 400 mcg do not appear to cause genetic damage). In part, we chose 200 mcg because it’s the lowest known effective dosage for chromium (providing a small immunosupportive effect), it’s enough to be sufficient, and it provides some buffer room for additional chromium, which is sometimes included at the RDA in other dietary supplements. Aged garlic extract is an odorless garlic preparation containing high amounts of S-allylcysteine, which is a powerful antioxidant, as well as various sulfide-containing molecules that can improve circulation. Research shows that supplementation with aged garlic extract . . .
Reduces hypertension (chronically elevated blood pressure). Improves blood flow and arterial health and reduces the risk of heart disease. Improves cholesterol profile to help prevent plaque buildup. Enhances immune cell function and may be responsible, in part, for the reduced severity of colds and flu. Increases the activity of the antioxidant enzyme glutathione, which prevents oxidative stress in cells. Clinically effective dosages of aged garlic extract range from 600 to 1,200 mg.
We chose to go with the lower end of the clinically effective range because it confers the desired health benefits while avoiding over-consumption, which can slow blood clotting and increase the risk of bleeding in some people. Grape seed extract is a substance derived from the ground-up seeds of red wine grapes, which have been used in European medicine for thousands of years. Furthermore, grape seed extract is identical to the pycnogenol supplement, which has been shown to have a variety of health benefits. Research shows that supplementation with grape seed extract . . . Improves blood flow to the extremities, which can reduce the appearance of varicose veins. Clinically effective dosages of grape seed extract range from 75 to 300 mg.
We chose 150 mg grape seed extract per serving because there are few health benefits conferred by higher dosages but price is significantly impacted. N-acetyl L-cysteine is a form of the amino acid cysteine, and it has been used in conventional medicine for more than 30 years primarily as a mucolytic (mucus thinner) and a way to increase levels of the important antioxidant glutathione. Research shows that supplementation with N-acetyl L-cysteine . . .
Can prevent fatty liver from oxidative stressors such as alcohol overconsumption. Has a protective effect on the liver; it has been used clinically to treat acetaminophen (Tylenol) toxicity. Reduces the decline in physical performance seen with repeated strenuous training. Limits the accumulation of toxic minerals in the body and reduces the damage done by these minerals. Clinically effective dosages of N-acetyl L-cysteine range from 200 to 2,400 mg, with lower dosages being used for supporting glutathione (antioxidant enzyme) and higher dosages being used for cognitive disorders. The fruits and seeds of olive trees have been used in European and Middle Eastern medicine for many centuries. Research shows that supplementation with olive leaf extract improves the cholesterol profile and prevents age-related and oxidative stress-related processes such as osteoporosis. Clinically effective dosages of olive leaf extract range from 10 to 1,000 mg. Lavender powder extract is a substance derived from the lavender plant, whose medicinal uses date back to ancient Greece. It’s known as a relaxing yet not sedating herb similar to the functions of L-theanine, and it is used to improve sleep and reduce anxiety. Research shows that supplementation with lavender . . .
Reduces anxiety levels, particularly used in treatment of generalized anxiety disorder (GAD). Improves sleep quality despite not inherently having sedative properties. Alleviates premenstrual emotional symptoms, including depression and confusion. Clinically effective dosages of oral lavender powder extract range from 80 to 160 mg.
Rhodiola is a plant that grows in cold regions of the world including much of the Arctic, the mountains of Central Asia, North America, and Europe. Research shows that supplementation with rhodiola . . .
Reduces post-exercise muscle damage and stress. Helps the body defend against viral infections. Improves symptoms of stress caused by lifestyle factors such as work, school, relationships, finances, etc. Clinically effective dosages of rhodiola range from 50 to 700 mg, with higher dosages being used for acute benefits and lower dosages for long term (chronic) supplementation. We chose to go with a lower clinically effective dosage of rhodiola because high amounts are for acute usage, not long-term consumption. Thus, we chose the popular long-term dosage: 100 mg.
Bacopa monnieriis an herb native to southern India, Australia, Europe, Africa, Asia, and North and South America. Bacopa has long been used in traditional Ayurvedic medicine to treat various neurological health disorders and to aid memory. Research shows that supplementation with bacopa monnieri . . . Improves cognition and memory performance, particularly with short-term memory. Improves mood and reduces stress and depressive symptoms. Clinically effective dosages of bacopa monnieri range from 250 to 300 mg when the bacoside content is held at 55%, and higher dosages are used if the bacoside content drops. Ashwagandha root extract is a substance derived from a plant used in Ayurvedic medicine as an herb. Research shows that supplementation with ashwagandha root extract . . .
Reduces both chronic cortisol levels and acute cortisol increases due to stress. Lowers feelings of stress and anxiety. Helps restore lost fertility in men. Protects against pigments that accumulate during Alzheimer’s disease and is thought to have a therapeutic effect in those with the disease. Clinically effective dosages of ashwagandha root extract range from 50 to 500 mg normally, with a few instances of over 5,000 mg being used acutely. Terminalia arjuna, commonly referred to as arjuna, is a tree found in India. Its bark is used in Ayurvedic medicine, mainly for preserving heart health. Research shows that supplementation with arjuna. . . Improves heart health and reduces the risk of heart disease. Increases cardiovascular endurance in a complementary manner to ashwagandha. Reduces damage caused by oxidative stress. Limits the effects of aging on the skin. Clinically effective dosages of arjuna have been noted to be around 500 mg.
Cissus quadrangularis is a type of vine in the grape family. It’s one of the most commonly used medicinal plants in Thailand, and it is also used in traditional African and Ayurvedic medicine. Research shows that supplementation with cissus . . .
Lessens inflammation in the body. Strengthens the bones (it has been traditionally used to accelerate fracture healing). We use a more potent cissus formulation of 40% ketosteroids, meaning the 31.25mg we use is bioequivalent to what has been shown to confer the above health benefits. Coenzyme Q10 (CoQ10) is a substance similar to a vitamin and found in every cell of the body. It’s used in the production of cellular energy and also functions as an antioxidant. CoQ10 occurs naturally in a wide variety of foods, but it’s particularly high in organ meats such as heart, liver, and kidney. Research shows that supplementation with CoQ10 . . . Improves heart health (particularly after a heart attack) and function and reduces the risk of heart disease. Protects sperm structure and function. Enhances the activity of antioxidant enzymes. Reduces inflammation in the body. Appears to be highly therapeutic for pain and well-being in fibromyalgia. Clinically effective dosages of CoQ10 range from 50 to 200 mg, with the majority of benefits seen at 90 mg.
Fucoxanthin is a vitamin A-like molecule known as a carotenoid, and it’s found primarily as the major pigment in types of brown seaweed. The functions of fucoxanthin have been evaluated as a possible explanation for the health properties of seaweed. Due to vitamin A and other standard carotenoids like β-carotene showing lackluster promise as dietary supplements, we included other carotenoids to round them out. Research shows that supplementation with fucoxanthin . . . Helps with weight loss via a process known as uncoupling and by increasing the amount of a normally underactive type of fat-burning receptor in fat tissue. Inhibits the absorption of glucose into fat cells while augmenting its uptake into muscle cells. Clinically effective dosages of fucoxanthin range from 2.4 mg to 8 mg.
Zeaxanthin is one of the most common types of carotenoids found in nature. It’s found in egg yolks as well as a wide variety of plants and fruits, and it gives them their characteristic colors. Research shows that supplementation with zeaxanthin improves eye function and preserves eye health. Clinically effective dosages of zeaxanthin range from 4 to 8 mg.
Lutein is also a carotenoid and is related to beta-carotene and vitamin A. Foods rich in lutein include broccoli, spinach, kale, corn, kiwi fruit, grapes, zucchini, and squash. Like zeaxanthin, research shows that supplementation with lutein improves eye function and preserves eye health. The two tend to be supplemented alongside each other. Clinically effective dosages of lutein range from 4 to 8 mg. TRIUMPH contains nothing but natural, safe substances that are 100% scientifically proven to improve health, physical and mental performance, and overall well-being as well as protect against various types of disease. It’s the ultimate multivitamin for athletes who demand the most from their bodies. While our choice of ingredients alone sets TRIUMPH apart from the rest of the crowd, what proves its superiority is that each ingredient is included at clinically effective dosages. That means that the dosages of each ingredient in TRIUMPH are based on published scientific research proving health and performance benefits, not the restrictions of razor-thin production budgets or gluttonous profit margins. When you start comparing actual numbers, you can quickly see that one serving of TRIUMPH contains about two to three times the effective ingredients of our competitors’ products. While everyone claims to have the best multivitamin on the market, we believe we can back up such a claim with real science and real numbers. Compare the TRIUMPH formulation to any other multivitamin product on the market, and it’s easy to see how inferior our competition is. If you want to not only prevent nutrient deficiencies but also have a healthier body that feels good and is more resistant to stress, sickness, and disease . . . and that can train hard without being dragged down by systemic fatigue and overtraining . . . then you want to try TRIUMPH today. Interview with Armi Legge on clean eating, keeping your diet in check, and more!